This is post number 52, my last post, in this challenge. It's been fun! Taking this challenge has helped me remember more about my childhood, but it has also made me realize how much I've forgotten. I've scoured old photos to jog my memory, and I've asked my mom and my siblings questions. A lot of my childhood memories are now just snippets that flash across my mind once in a while. 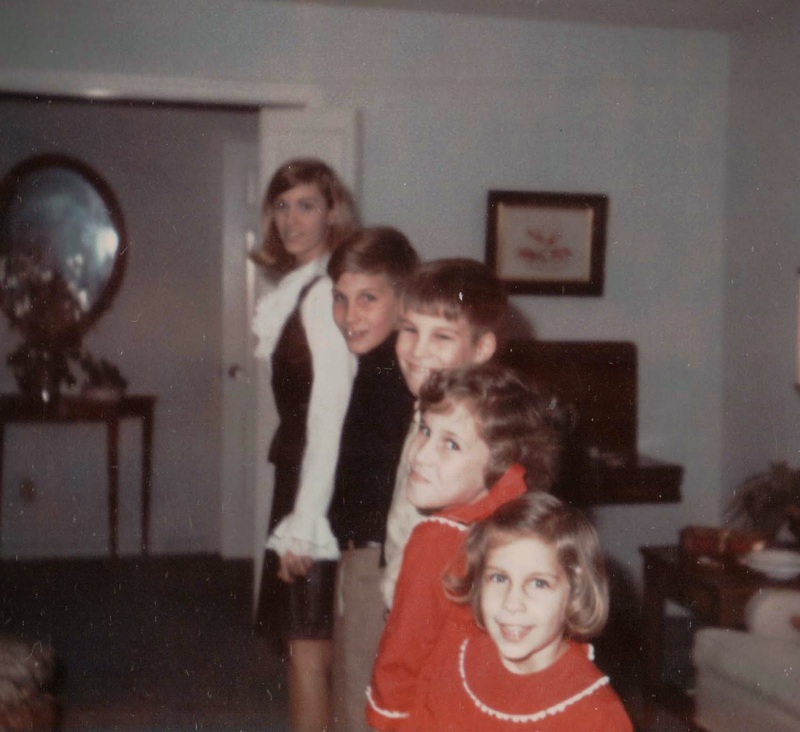 To end the challenge, I thought I'd post a few more photos of me with my siblings. I look surprised! 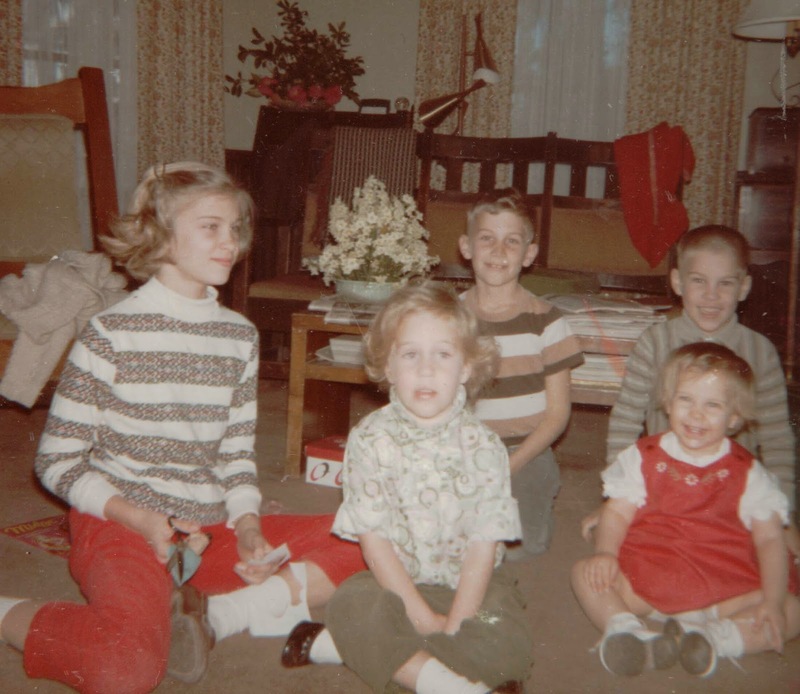 From back to front, oldest to youngest: me, Andy, John, Melissa, and Helen. 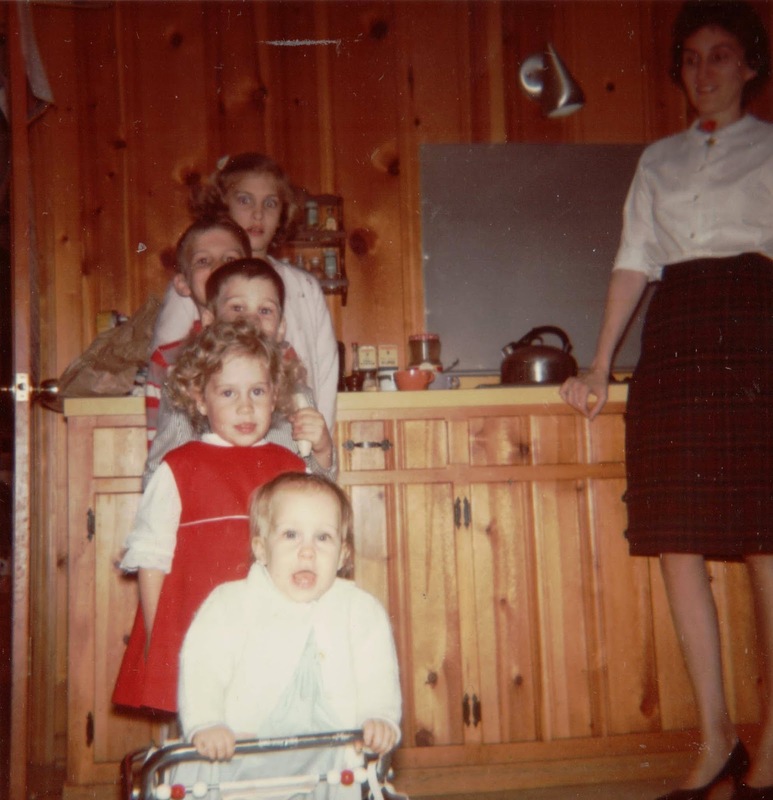 Our mom is on the right. I actually remember this photo. Our dad told us to line up! We're in our family kitchen. This may have been 1964 or 1965. I'm on the far left, Melissa is in the center, and Helen is on the right. Andy is in the center back, and John is on the right behind Helen. This was taken at our great grandparents' house the J.T. Roberts house. Oldest to youngest starting at the back: me, Andy, John, Melissa, and Helen. I was probably in high school when this was taken. 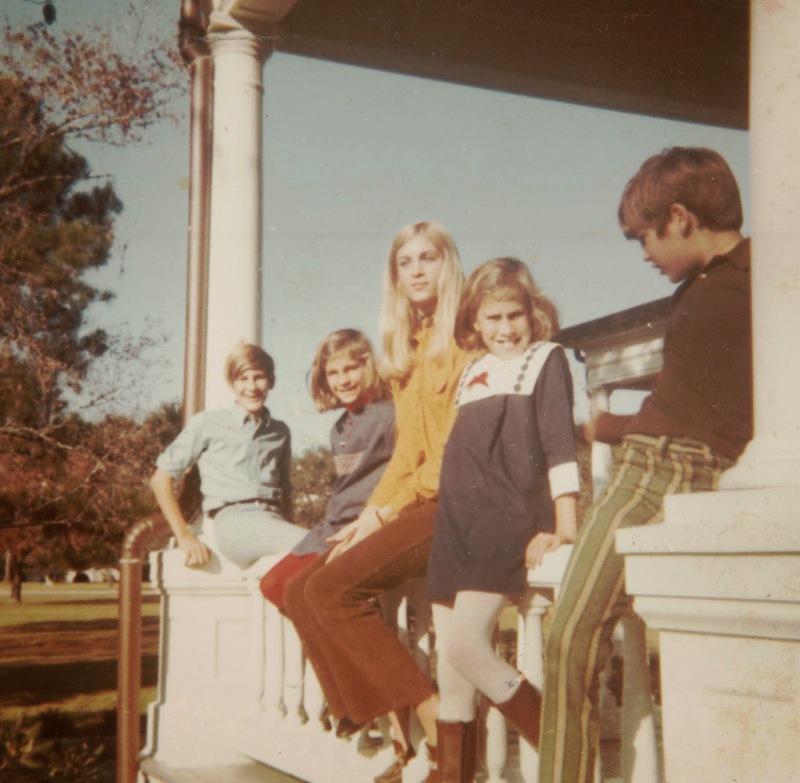 This was taken in November 1970 or 1971 on Jekyll Island, Georgia. We went there for Thanksgiving vacation. I think we're at one of the "cottages" that used to belong to one of the millionaires who vacationed there. From left to right: Andy, Helen, me, Melissa, and John. I wish I'd written down my childhood memories years ago before I'd forgotten so much! Thousands of people are voting for a second 52 "Writing Catherine's Memories" posts.